A ski holiday in South Tyrol is a special highlight for all winter sports enthusiasts. After all, a ski vacation in our region offers them some of the most extensive and most beautiful ski resorts in Europe. Another advantage of a ski holiday in Castelrotto: All the major ski resorts in the region are located right outside your door. Another highlight in Castelrotto for guests who want to ski in South Tyrol: The location and surroundings are considered extremely snow-safe. Thus, you have an almost one hundred percent guarantee that you will fully enjoy your ski holidays South Tyrol in Castelrotto. The Sella Ronda Superski offers more than 170 well-groomed slopes and is considered the most beautiful ski resort in South Tyrol. If you wish to discover more of the Dolomites in the winter: From here you’ll have a direct connection to another 500 kilometres of slopes. 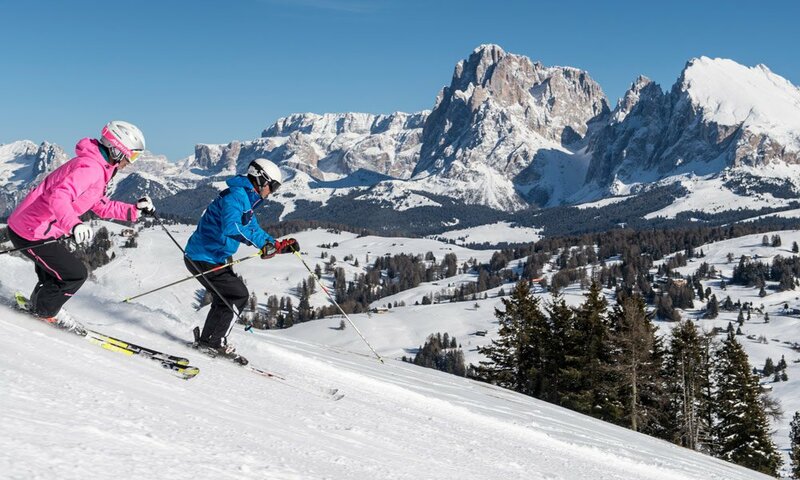 In the ski area Alpe di Siusi, skiers may expect about 60 km of slopes with different difficulty levels. 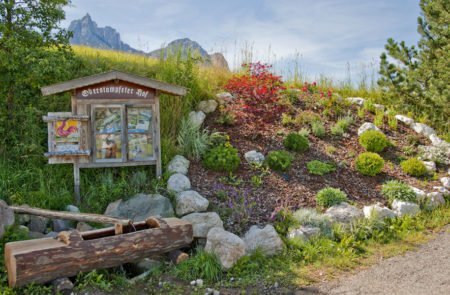 For small guests, there is also a ski kindergarten where professional caregivers spend time with the kids who wish to make their first experiences on skis. The Val Gardena ski area is mainly known as the venue for the annual ski world cup. But it also has plenty to offer for recreational skiers: slopes for all levels of experience, as well as connections to other great ski areas in the region. On the “War Circuit” you may explore the battlefields of World War I on approximately 100 km of slopes. For the complete circuit you will need up to eight hours.